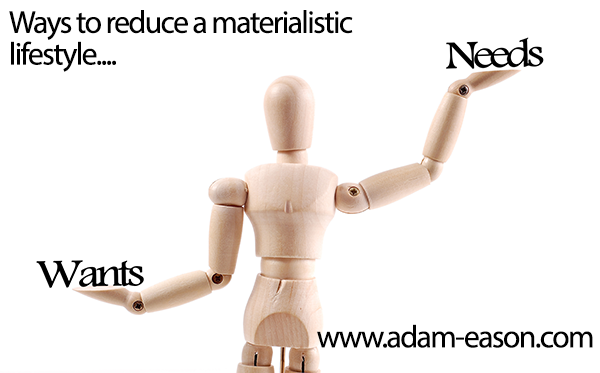 Materialism: Ways to reduce a materialistic lifestyle. Does materialism and being materialistic really deliver the kind of happiness and enrichment or meaning that people seek in life? 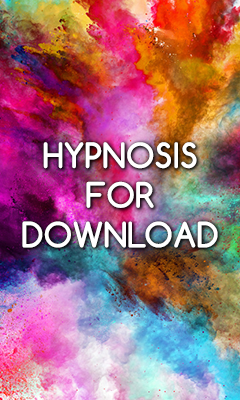 Recently, I took over the UK Hypnosis Convention and had lots of people desperate to give me advice about how to make it a major commercial success. They considered little else. For me in my role within the hypnotherapy field, I want to deliver enormous amounts of education, I want to raise standards in my professional field, I want people to walk away from the event having benefited deeply and profoundly on many levels. It needs to be commercially viable, but it is not exclusively about making money. Likewise, I encounter so many” business development gurus” within my professional field that dangle the ideal and fantasy of materialism in the faces of those who want it as a means of selling their wares (when I’m not even convinced they are that successful themselves) – this is a discussion for another day, the point is that materialism as a driver and as something to strive for, or be obsessed with, often lacks meaning and deeper satisfaction that offers us fulfilment and genuine happiness. “Material is meant to be a fun, lighthearted song about the tiny bit of materialism that’s in all of us. The message is meant to translate the notion that you don’t need luxury items to feel special; you already are special.” – Yuna. Why is there a global epidemic of the “Miserably Successful”? Our M.I.S.E.R.Y is often self-imposed. This post focuses on Materialism, let’s link the two…. One problem with a purely materialistic focus is that it deprives you of the ability to evolve; you construct and configure reality in such a way that makes you believe that it is the only way to be, it takes away a wider sense of perception and exploration. Many come to believe that the main gauge of success is through materialistic gains. Materialism is very reassuring: you have a great salary, a beautiful home, all the things that advertising tells you that a successful person should have. So your ability to change is inhibited, you are no longer able to move in uncertainty, everything becomes repetitive, a habit. You only develop limited skills to reinforce the current status that makes you feel safe. Change instead requires courage, trust, the development of intuition, flexinbility, insight and actively seeking alternatives to what we are told via many aspects of modern society. You start to feel comfortable without knowing the final destination but with a newly developed sense that you are on the right track. The key issue that slows the transition from a materialistic society and a profoundly fulfilling, meaningful life is that materialism creates scared human beings, who gradually lose their survival instinct as they accommodate themselves into an easy routine where they do not need to question anything. Though many don’t find it that easy, and it enslaves many in a variety of ways. “That feeling of freedom, open highways of possibilities, has kind of been lost to materialism and marketing.” – Sheryl Crow. Taking away materialism helps us develop free will and make our lives what we really want them to be. Free of those trappings. The (non-materialist) path instead goes towards experimentation, change, towards new horizons, on the organisational level it is innovation that moves you to develop even if you are very attached to the certainties of today. Though we all can recognise when it can be useful and important to have something tangible in an aspect of our life. It is therefore important to develop the skills that lead you to conceive your life made up of both values, intangibles and materialistic tangibles. One example might be a deeply spiritual individual, who lives with nothing material at all. One potential problem with this way of being is if such people surround themselves with mainly other spiritual individuals and to never be able to impact the wider society. Hence the need to have more challenging interactions, to cross divides and challenge each other. That is where evolution happens. It is not necessary to go from materialism to asceticism: the pleasure of buying something we like is fine, but we should ideally purchase because it is a conscious choice and a sincere pleasure that we really live and fully enjoy. Not because it demonstrates status or for it’s own sake. “Materialism is the only form of distraction from true bliss.” – Douglas Horton. When you evolve from materialism, you have to step out of the materialistic dimension, and this sometimes seems to require some kind of sacrifice, the evolutionary change requires effort, giving up something, sometimes accepting that the people around you may not understand you. Very often the suffering is due to how attached we are to our former materialistic identity, the way you live becomes your skin. It is necessary to evolve and to commit what is a big form of letting go. “Because it is easy to be materialistic — it’s easy to make an easy story about yourself, it is more difficult to decide who you are if you are not material, it requires effort and does not remain stable but requires uncertainty.” – Unknown. The transition can start by listing your qualities, your real value and your strengths. All of them are attributes you may not always recognise in yourself, or may not celebrate as much as you should. Suffering is not so much linked to uncertainty, suffering is not really about not having enough money to live”, most of us do not really need more, we already have enough to live. Instead the true suffering is the emptiness, it is the lack of substance and deeper meaning. The fundamental KPI (key performance indicator) is your level of happiness, of physical and emotional wellbeing, having a sense of meaning and satisfaction with your existence. Congruence, a term often confused with but different from coherence. We constantly evolve and so does what surrounds us ,so our coherence changes accordingly but congruence instead refers to us knowing…..
Am I living in a meaningful way, according to my values? It tells you at any given time if you feel well or bad, and for what reason. From congruence comes the trust that what you do is right even if you have not yet achieved measurable results. You reach that first mile when you can start to say “I am living well and I have also obtained the first goal with my new lifestyle” getting that first success shows you that you are not alone and others support you, your new way of being. – How to live with integrity. – Why and How to be Authentic in Everyday Life. 1. Assess which of your ‘nice things’ own you, and which are the nice things YOU own. Keep the ones you own: trade, give, and sell the others. I know there is a big current trend to declutter according to Marie Kondo’s notion of letting go of the things that you do not feel love and joy from. This is not too dissimilar – think about what serves you, what brings you meaning (and by the way, a million Marie Kondo’s could not make me get rid of my mountains of books!). 2. Examine (and this is more difficult) whose story or ‘rule’ is playing in your mind when you assign a value to something. Perhaps you love something because you or someone else believes it to be a status symbol rather than it contributing meaning or genuine joy to your existence? Or a specific painting, which you never really liked but bought any way. 3. Imagine you had a financial overhaul. What would you need to be comfortable? Not to survive – you have worked too hard for too long- but to live with enough and a little more. Use that to determine what else can be done to simplify your life. From that position, you get to start valuing other aspects of life and experience that bring you increased joy, fulfilment and benefit. – 10 Reasons you should adopt minimalist living. Take the time to make this transition happen! We have the time that we have. The problem with many is with our agendas, with perceptions of what a good agenda looks like: you see a full agenda and you’re perhaps thinking this makes you a successful person with a full life. But intuition and insight thrives and expands when you move away from materialism, it grows in a different space. Changing your behaviours and habits helps, but is not the full answer. Doing, actions connects with your hardware. You also need to connect with your software, creating room for boredom and oblivion – for insight and revelation. Play the guitar, express yourself, read the classics, do what you really want to do. Leisure derives from the Latin word “otium” — it is the empty space between inhaling (receiving) and exhaling (action). So you need to find the right cycle for you to stay still in between those two states. The more you can stay in that state of leisure, the easier it will be for you to see what you really need to do next, what your next congruent step should be. You’ll find answers when you give your brain and mind enough space to create them – this function is inhibited when we insist on a jam-packed, materialism-driven life trying to convince ourselves of our happiness. So instead of being busy, you (and your team) should lay on the sofa every now and then, read a book with a ray of sunshine that touches you from the window in a quiet place at two o’clock in the afternoon, walk somewhere beautiful. To allow ourselves to let go, to go to a space that develops the ability to receive. It is a re-connection with your spiritual essence, whatever that may be for you. We need to express it with attitudes and behaviours as well as talking about it. Move to seeing materialism as fundamental but not as the main source. Rehabilitate the ability to value one’s life, to materialise it. The materialisation of (our own unique brand) spirituality is necessary. If anything, it appears that there is a relationship between non-materialism and well-being. While possessing wealth and material goods doesn’t lead to happiness, giving them away actually does. Generosity is strongly associated with well-being. Studies of people who practice volunteering have shown that they have better psychological and mental health and increased longevity. The benefits of volunteering have been found to be greater than taking up exercise, or attending religious services – in fact, even greater than giving up smoking1. Another study found that, when people were given a sum of money, they gained more well-being if they spent it on other people, or gave it away, rather than spending it on themselves2. This sense of well-being is more than just feeling good about ourselves – it comes from a powerful sense of connection to others, an empathic and compassionate transcendence of separateness, and of our own self-centeredness. So if you really want enhance your well-being – and as long as your basic material needs are satisfied – don’t try to exclusively accumulate money in your bank account, and don’t treat yourself to material goods you don’t really need. Be more generous and altruistic – increase the amount of money you give to people in need, give more of your time to volunteering, or spend more time helping other people, or behaving more kindly to everyone around you. Ignore the ‘happiness means consumption’ messages we’re bombarded with by the media. A lifestyle of generosity and under-consumption may not suit the needs of economists and politicians – but it will certainly make you happier.